Hiring? Toptal handpicks top Framer.js designers to suit your needs. Wojciech is a product designer and web designer with 8 years of experience. He’s passionate about typography and sound design. Welcome to the second installment of our Framer tutorial series. 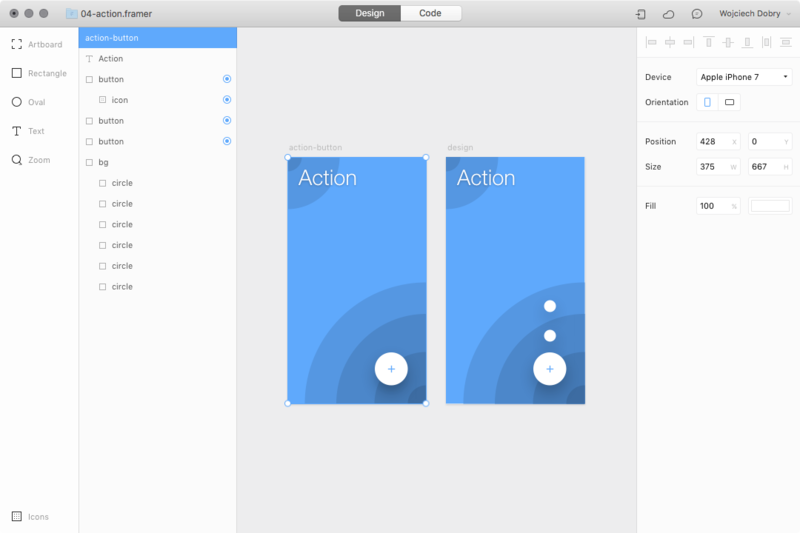 In the last article, we learned about the basics of using Framer in Design mode, as well as how to write some simple code to make our designs come to life. 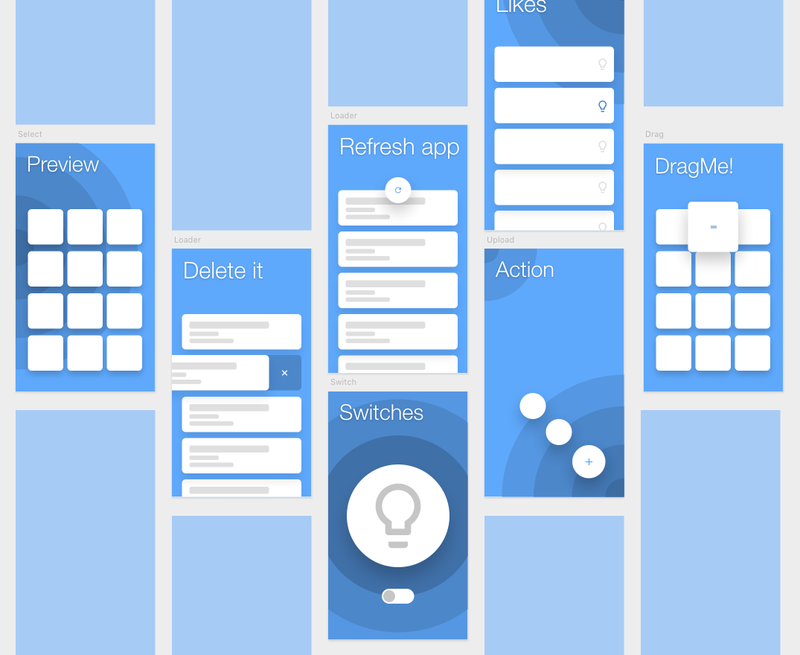 In this piece, we will focus on using Framer to create microinteractions and animated transitions. We will walk through how to create seven useful interactions for your prototypes. Why Should You Prototype Small Interactions? Smooth movement, state changes, and subtle transitions help a user understand how to use your interface by giving them feedback on certain actions. Often, these transitions will echo real-world analogs (such as the sliding of a switch control) or utilize common device interaction patterns (such as tap-to-expand). In this tutorial, we will focus on interactions that add a finishing touch to the interface to guide understanding and spark delight in the user. Take a look at the examples below. Designers all over the world are creating these microinteractions in various products. In this tutorial, I will give you an overview of each microinteraction and some code snippets. We will be using several different techniques, so you will be able to choose the one that best fits your product. 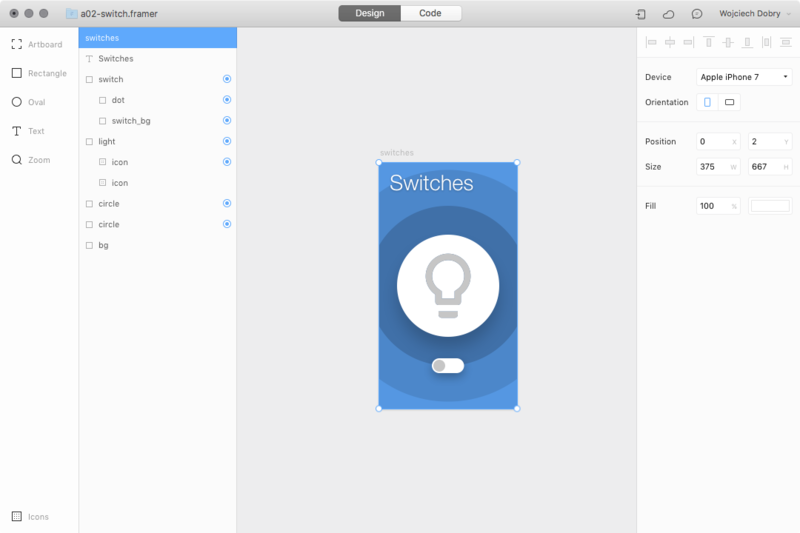 There is no “right” way to create anything inside Framer Studio—as I mentioned in my previous article, Framer gives you a lot of freedom to create the way you want to. Have you seen interactions like these before? Sure, you have! You see them every day on your smartphone. It’s time to create your own. To start, create one main circle-shaped button with an icon inside and two smaller buttons placed under the main button. 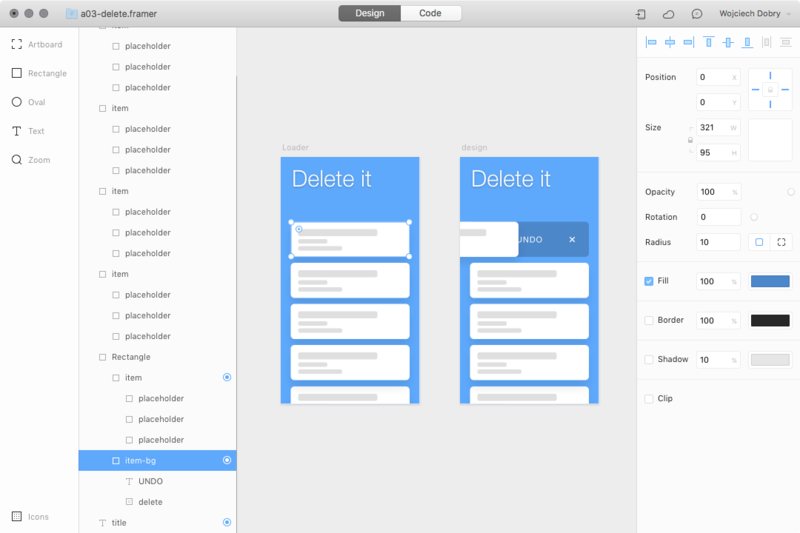 Don’t forget to mark all of these layers as interactive in the design mode (with the target indicator). The action button is ready to go! You will need only two things: the switch itself, which contains at least two layers (background and dot), and some layers to animate after using the switch. Now our prototype is done! You can use your own design, if you wish. You just have to keep the same structure of the layers. As you can see in the image above, all of the list items have an “undo” button under them. To keep it simple, we will create an interaction only for the first list item. First, make the list item draggable: item.draggable = true. Then lock the vertical axis: item.draggable.vertical = false. And finally set the size to the item size: size: item. Now you can swipe left and right, and the item will always return to its original position. Next, create the state for the list item when it’s removed. I simply moved it outside the screen using the x-axis. You should be familiar with this code from the previous tutorial. Create a simple button with four sublayers: a progress bar and three icons for different states. I designed my button with an upload icon visible, a progress bar at the bottom with a width of 0, and two more hidden icons. 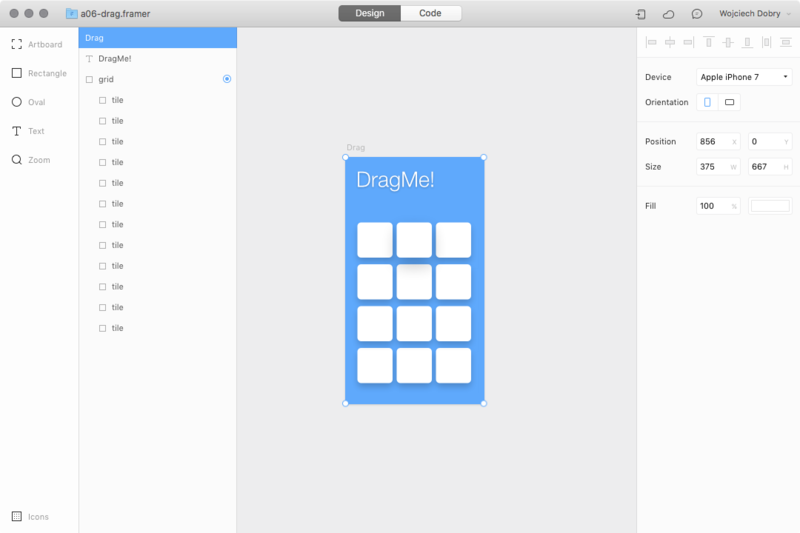 This whole prototype can be made without writing a single line of code, just by using Framer’s autocode features. The first animation is changing the width of the progress bar. The second is hiding the upload icon with opacity. The third is rotating and showing the loader icon. The last one is showing and scaling the check icon. Again we are using an “if” statement. If the list is pulled down (moved on the y-axis) more than 180px, we will trigger an action. 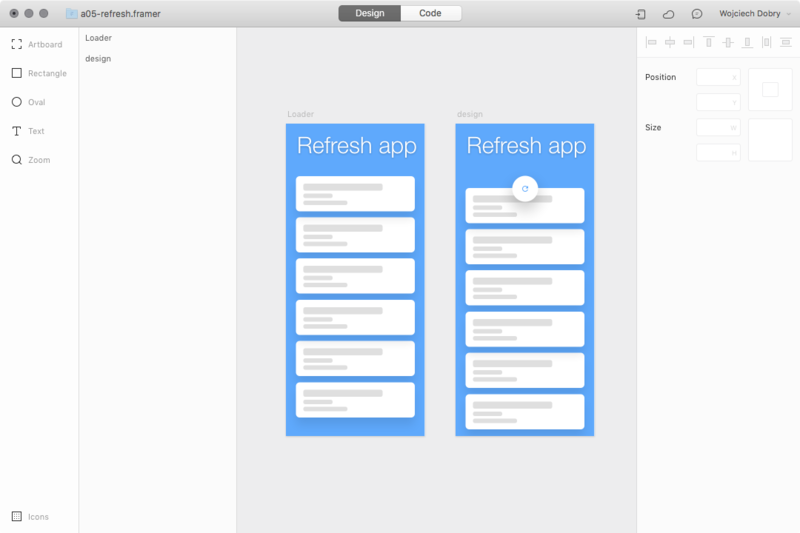 In this case, we will animate two layers: the list and the refresh icon. We are using “animate” to move the list down 210px and rotate the refresh icon 360°. Create a grid of tiles, and make sure they are inside the parent element. With this simple line of code, you targeted all layers inside the grid layer. I used this.bringToFront() to make sure the item is always above the other layers. At this point, we have a working prototype. I’ve also created an empty array for all “button” layers: buttons = . To add layers into the array, we will use: buttons.push(). This means that we are putting the first layer of each “row” group inside an array. You can use this technique to recreate all the previous prototypes and make them more complex. When you are creating microinteractions, you are focusing on the smallest details. You can create animations triggered by any type of action and make them absolutely perfect. Keep in mind that there are hundreds of ways to create the same prototype, and you should use the method that fits your skills and the needs of your product designs. 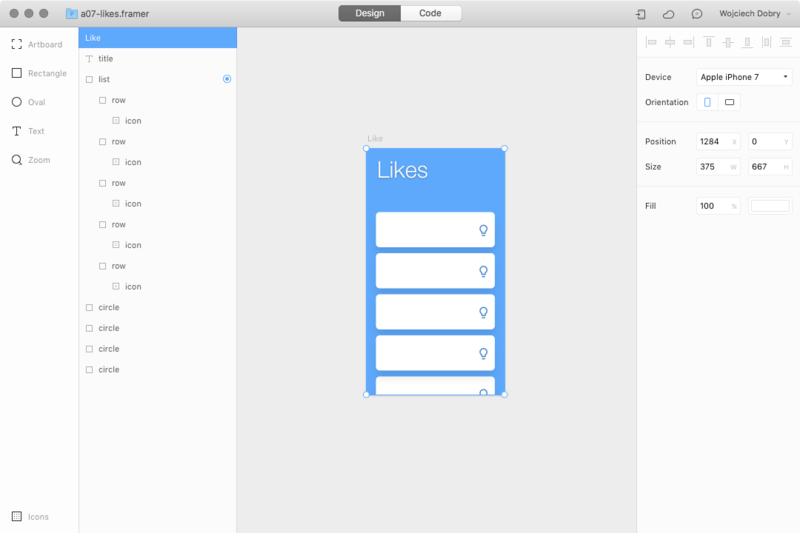 In the next Framer Studio tutorial, we will create an outstanding redesign of Instagram using their API. Stay tuned!